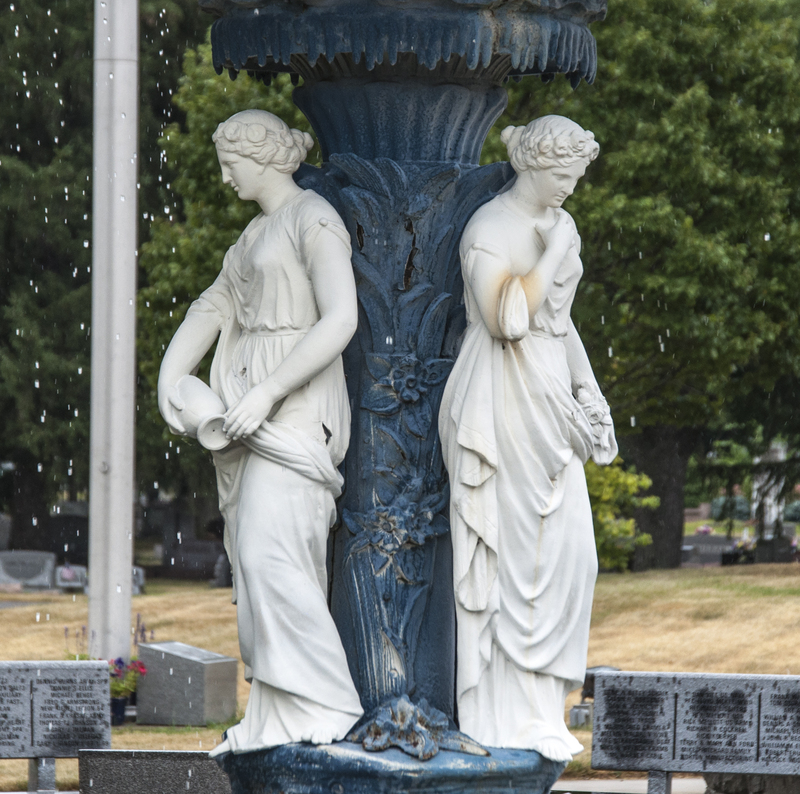 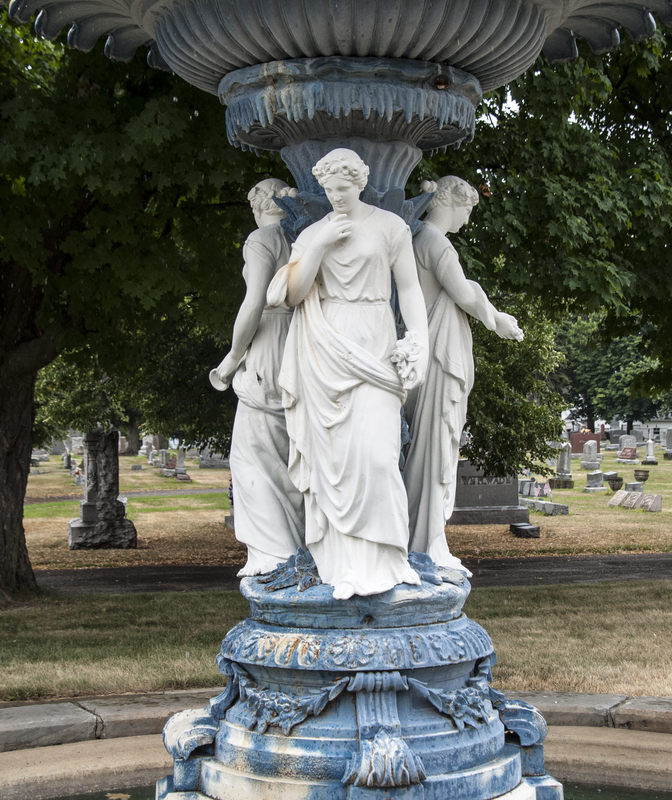 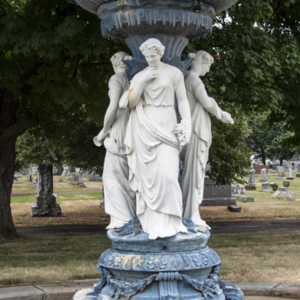 This fountain features four classically dressed women and an ornate central column that has a secondary flower-like basin at the top to catch water, which overflows into the main shallow pool below. 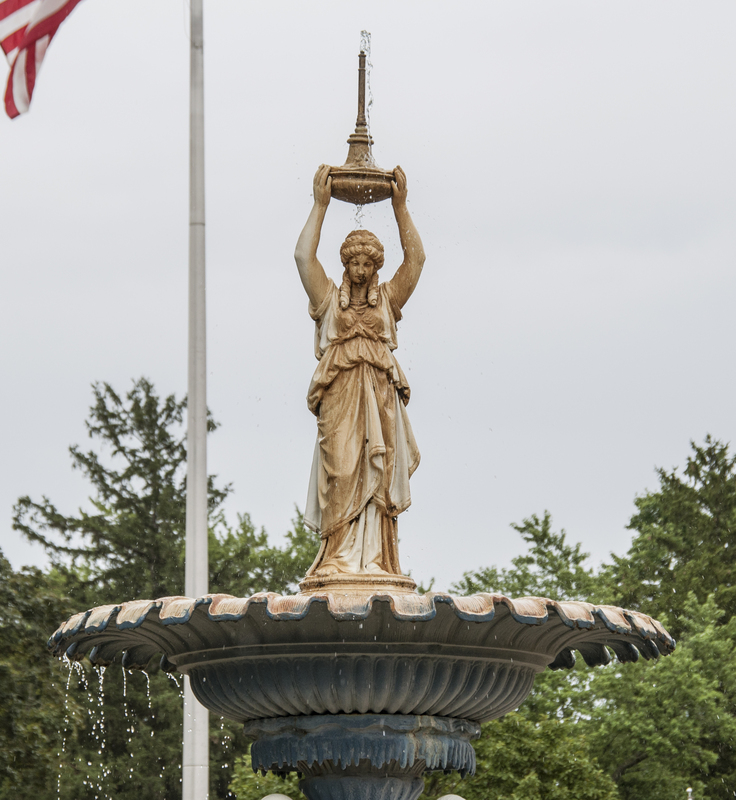 One woman sit atop the entire fountain holding a vessel that spouts water and drips over her face. 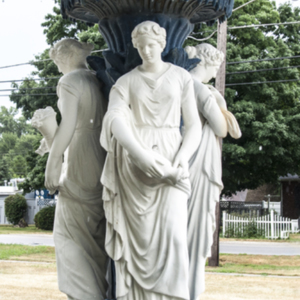 Three women are attached to the column and are shown doing various activities; the first appears to be pouring out a vase, the second is reaching towards her neck with her proper right hand and holding a bushel of flowers in her proper left, and the third women is offering grapes outwards with her proper right hand and clasping a horn of plenty to her side with her proper left hand. 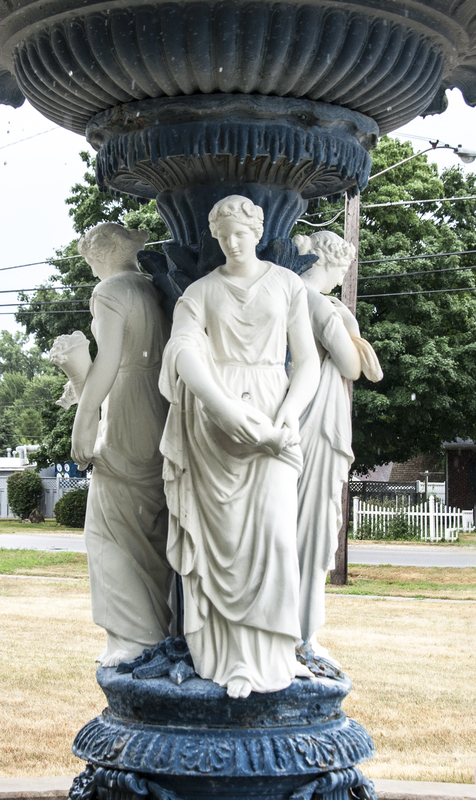 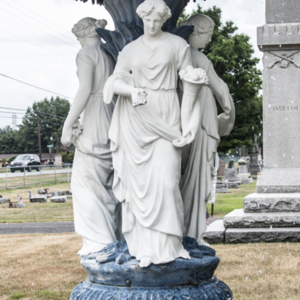 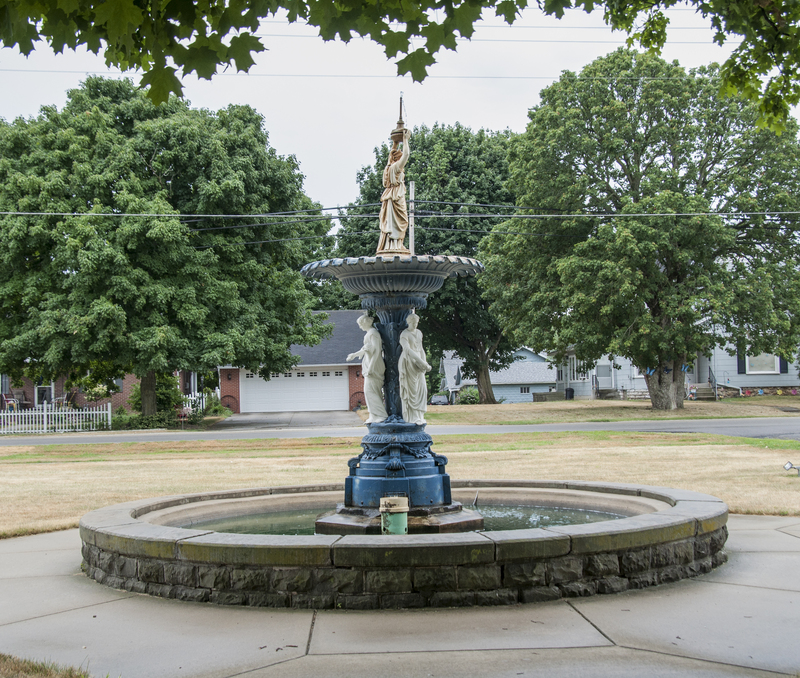 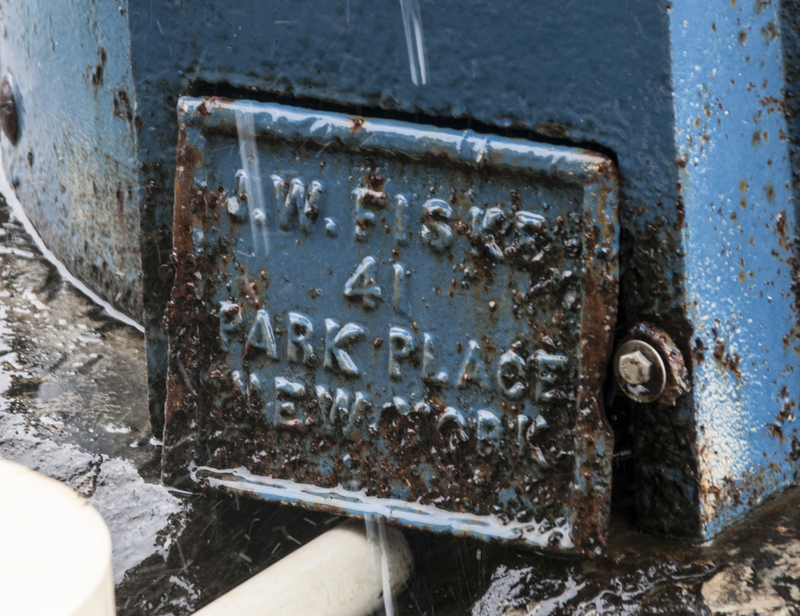 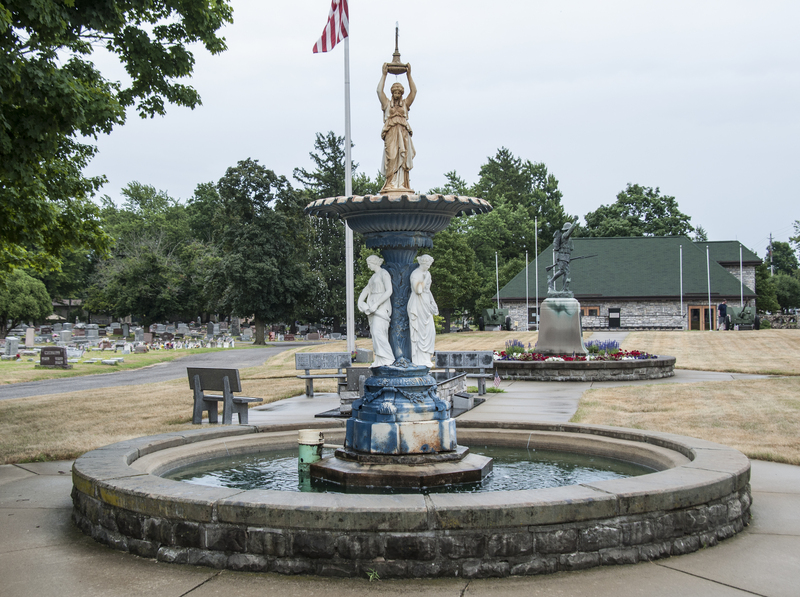 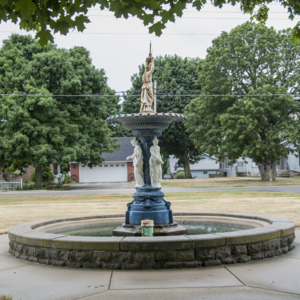 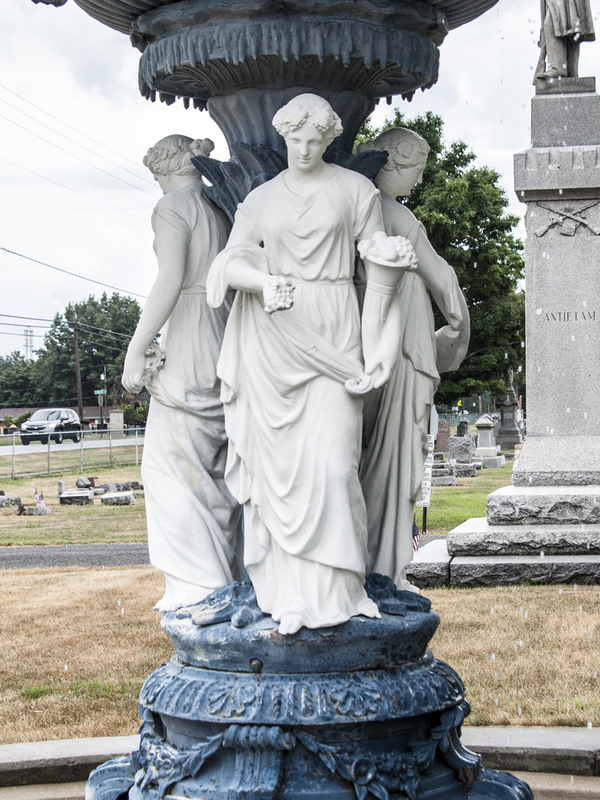 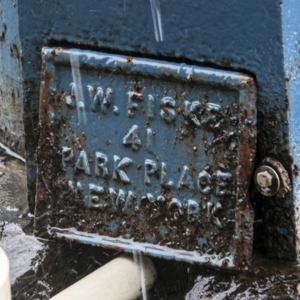 : J. W. Fiske, “Lady Fountain,” Ohio Outdoor Sculpture Inventory, accessed April 18, 2019, http://oosi.sculpturecenter.org/items/show/1555.